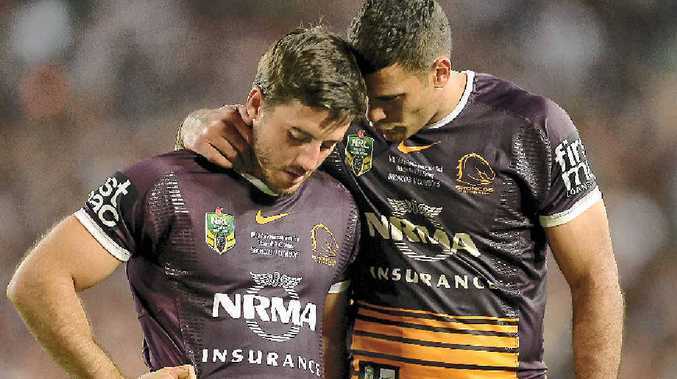 BEN Hunt's manager Col Davis is confident the gutted Brisbane halfback will be an even better player once he exorcises the demons of Sunday night's crushing 17-16 grand final loss to the Cowboys. Social media sites Facebook and Twitter were swamped with outpourings of support and well wishes for Hunt from current players, former players, politicians, entertainment identities and rival sports stars after he spilled the kick-off in extra-time that gave North Queensland champion Johnathan Thurston the opportunity to win the game with a field goal. Speaking exclusively to APN, Davis said: "Ben's season should not come down to what happened in a half a second. "It will take time but Ben will come back from this an even better player and a much stronger person. "He's a terrific bloke. I know he'd be hurting bad, but I don't believe any of his teammates would be thinking he cost them a grand final." Images of Hunt dropping to his knees and sobbing after dropping the kick-off touched many, even man-of-the-match Thurston who sought Hunt out immediately after the most emotional win of his career, telling him to "keep your head up". It was a special gesture which not only captured Thurston's compassion, but relayed the enormous pain and agony to the public which a distraught Hunt, who more than any other player did so much to get Brisbane into the grand final, was already battling. Broncos coach Wayne Bennett also headed straight for Hunt after the game, giving him a reassuring hug, knowing his playmaker would be unfairly blaming himself for the gut-wrenching loss. But it was retiring captain Justin Hodges who summed it up best in the post-match press conference when he told journalists: "Ben Hunt thought he cost us the game, but without Ben Hunt we wouldn't be here today," Hodges said. Hunt was looking for a rock to crawl under as the football slipped from his clutches seconds before Thurston banged over a field goal which will go down in rugby league folklore. He is not the first player to drop a ball from a kick-off but sadly for him, it was a grand final with millions watching on TV. 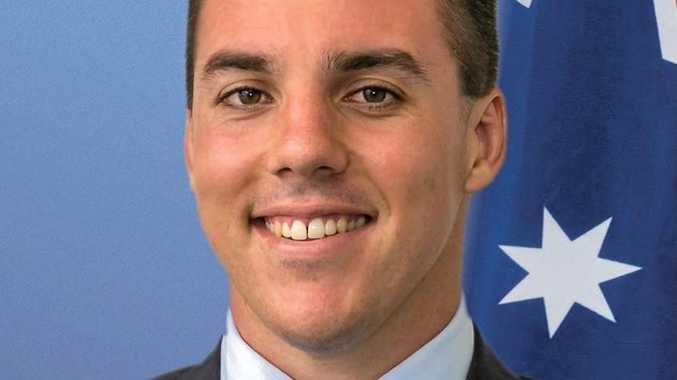 The NRL's match review committee, meanwhile, made it an even tougher night for the diminutive No.7, hitting him with a grade two dangerous throw charge for a lifting tackle on Cowboy Kane Linnett which will see him miss the opening game next season if he takes an early guilty plea. Hunt would miss the first two games if he unsuccessfully challenged the charge.